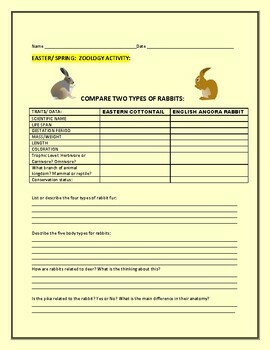 This activity compares two types of rabbits and their traits. Use it for a research assignment during computer lab time, or for a science graded homework assignment. Thanks for visiting!